I have warned against a “monetary meltdown” in India for more than a decade and a half now. I said it to Rajiv Gandhi (who listened with care and respect) and after he was gone I have said it to Government economists in India, to IMF/World Bank bureaucrats in Washington, to academic audiences in India and the UK and to India’s general newspaper reading public. Obviously I hope such a meltdown does not come about. But inflation, or the decline in the value of money, presently is in double-digits even by the Government’s own admission. (As a general rule, I think the decline in the value of money has been higher by several percent than what the Government says at any given time.) 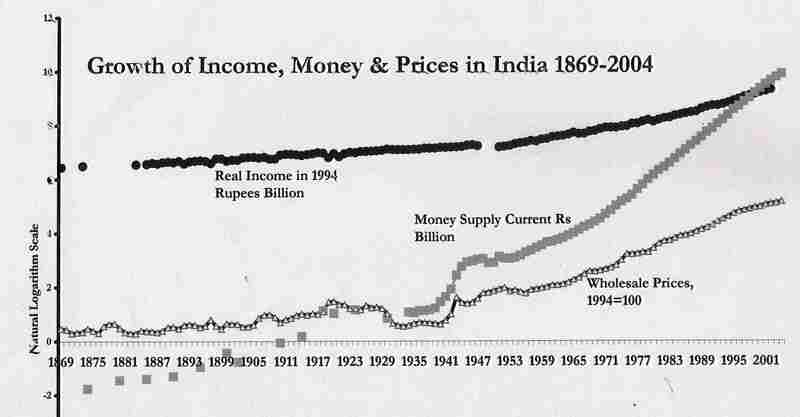 Hence I am publishing again some results of my macroeconomic research on India over the years. You are free to use them and communicate with me about them but please acknowledge them properly and do not steal. The first graph of 1869-2004 data was published in print to accompany my Growth and Government Delusion in The Statesman February 22, 2008; it had also accompanied other similar articles, e.g. The Dream Team: A Critique in January 2006. 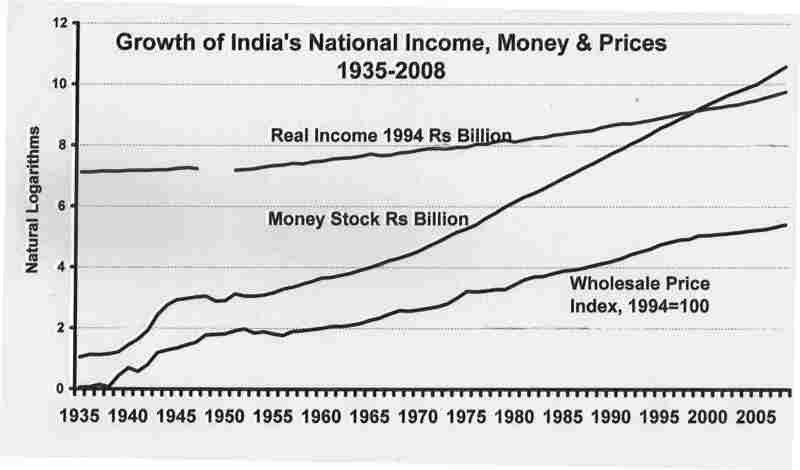 The second graph of 1935-2008 data was published in print to accompany my article Indian Inflation in The Statesman of April 22 2008.